So I received the opportunity to watch two Korean dramas that I’ve been looking forward to watch since forever today and so since I finished the first episode for both dramas, I thought I would talk about them and offer my first impressions on both dramas. 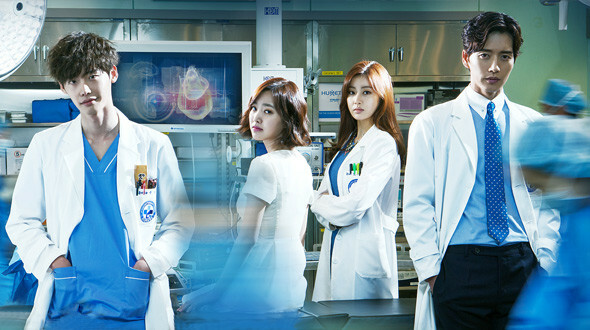 The first drama I watched and the one I anticipated the most was ‘Doctor Stranger’ starring Lee Jong Suk, Jin Se Yeon, Kang Sora, and Park Hae Jin. Seeing all the teaser promotions and stills made me excited for the drama. I was more excited about the OTP Lee Jong Suk and Jin Se Yeon than I was about the story and plot of the drama so I didn’t really care what the drama was about – I was going to watch it regardless. I didn’t have high expectations for this drama in the first place, but still after watching the first 2 episodes I’m quite disappointed. I’m not as invested and interested in this drama as I wished I was. The directing is not my style and I don’t like it. The cinematography can be very irritating and annoying at times. Storyline and plot is pretty dull and boring. Granted, I only watched the first two episodes so it’s still slow right now, but there’s just things about this drama that puts me off. I’m still going to continue watching it for Lee Jong Suk and Jin Se Yeon, but I hope it gets better. I also think Kang Sora and Park Hae Jin are a compatible and very cute couple as well so I’m gonna be watching out for their relationship. I don’t know. I think this drama can do better and can do more. I guess I just have to watch it a little bit more to get used to it. 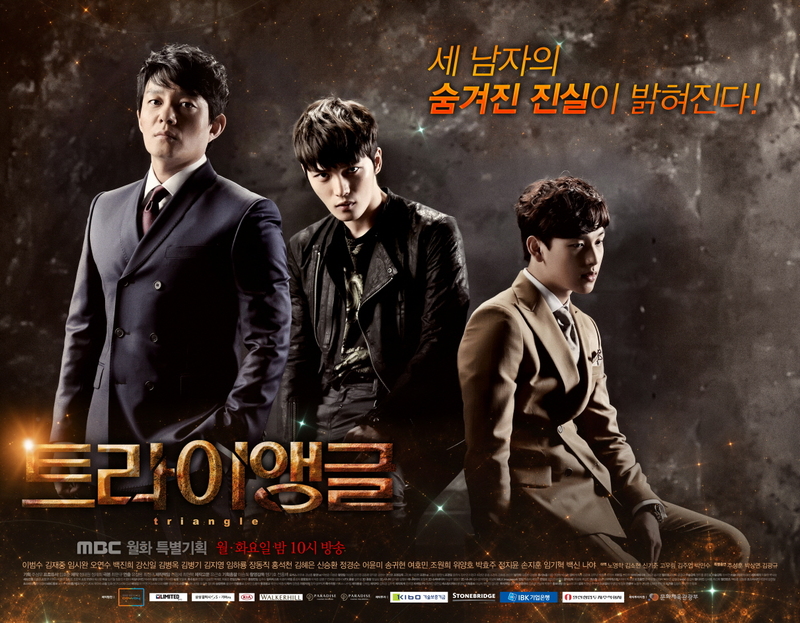 The second drama I watched was ‘Triangle’ starring Lee Bum Soo, Kim Jae Joong, and ZE:A’s Siwan. ‘Triangle’ actually wasn’t a drama I was planning to watch so I didn’t carry any expectations or anticipation for the drama which is why it probably turned out to be more interesting to me between the two dramas I watched today. I actually like it. The story line is simple and easy to follow. I’m actually very excited for the OTP couple of Kim Jae Joong and Baek Jin Hee. I like Baek Jin Hee although I’ve never really watched her in anything and I’m not a fan of Kim Jae Joong, but he is doing a really great job in this drama. And there’s also something about the gangster falling in love with an innocent, brave girl that really gets to me. Lol. I just love those kind of love lines! So I can’t wait for more interactions between Kim Jae Joong and Baek Jin Hee. Their scenes together are already so cute and squeal-worthy! Lee Bum Soo is great once again in this drama. He’s a great actor and always does really good in whatever drama he is in. I only finished the first episode for this drama, but I’m satisfied and I’m liking it so far. To my readers, what do you guys think about ‘Triangle’ and ‘Doctor Stranger’? Which one is your favorite and why? I’m only watching Dr. Stranger right now and I’m really enjoying it. Triangle does look interesting though. Have you found that you lost interest in triangle recently though? I’m actually really starting to enjoy doctor stranger! Wow. You have the amazing ability to read my mind! Unfortunately, as I continued to watch ‘Triangle’, I realized that I was only watching it for the love triangle and not for the other stuff so I just quit altogether. WOW I Like This Chapter.